The NJ Water Monitoring Summit is a 1-2 day program designed to provide information exchange and training opportunities among NJ’s ambient water monitoring community. Topics covered generally include a broad array of water monitoring programs and projects, including monitoring of all waterbody types – streams, large rivers, lakes, ground water, wetlands, estuaries and oceans. The Summit is designed for federal, state, interstate and local government representatives, academics, regional commissions, watershed associations, volunteers, and various members of the water monitoring and assessment community. Check back often for announcements of upcoming Summits. Click on any of the boxes below for information, including agendas and presentations, from previous Summits. The New Jersey Department of Environmental Protection, in cooperation with the the New Jersey Water Monitoring Council and the Watershed Watch Network, hosted the 9th Water Monitoring Summit on Wednesday, November 28 and Thursday November 29, 2012 at the Rutgers EcoComplex in Bordentown, New Jersey. The Summit covered topics applicable to a broad array of water monitoring and assessment programs and projects, including monitoring of all water body types - streams, large rivers, lakes, groundwater, wetlands, estuaries, and oceans. It showcased projects, tools and programs that have been developed to inform local and state planning, protection, and restoration efforts. The audience for the Summit included federal, state, interstate and local government representatives; academics; regional commissions; watershed associations; volunteers; and various other members of the water monitoring and assessment community. 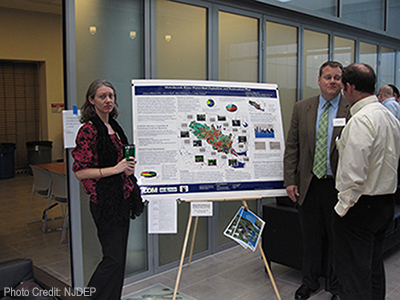 The New Jersey Department of Environmental Protection, in cooperation with the New Jersey Department of Health and Senior Services, the Watershed Watch Network Council, and the New Jersey Water Monitoring Council, hosted the 8th Water Monitoring Summit on December 1 and 2, 2011 at the new Department of Health and Senior Services building, in the NJ State Police Headquarters Complex, located in West Trenton, New Jersey. 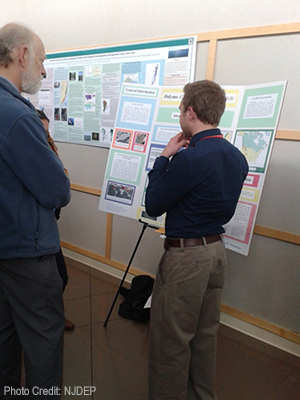 The Summit covered topics applicable to a broad array of water monitoring and assessment projects and programs, including monitoring of all water body types, streams, large rivers, lakes, groundwater, wetlands, estuaries, and oceans. It also showcased projects, tools and programs that have been developed to complement local and state planning and restoration efforts. Summit participants included volunteers, private and public partners, watershed association staff, watershed educators, academics, federal, state and local government representatives, and other members of the water monitoring and assessment community. 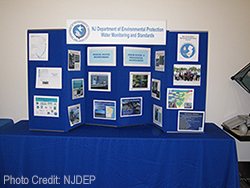 The New Jersey Department of Environmental Protection, in cooperation with Rutgers University and the New Jersey Water Monitoring Coordinating Council, hosted the 7th Water Monitoring Summit on November 18 and 19, 2009 at the Rutgers EcoComplex in Bordentown, New Jersey. Click here for more detailed information on presentations, and here for the agenda. For additional information, please contact Bruce Friedman, Director.